You know I love a good wreath. I’ve caught the wreath making bug and can’t stop! 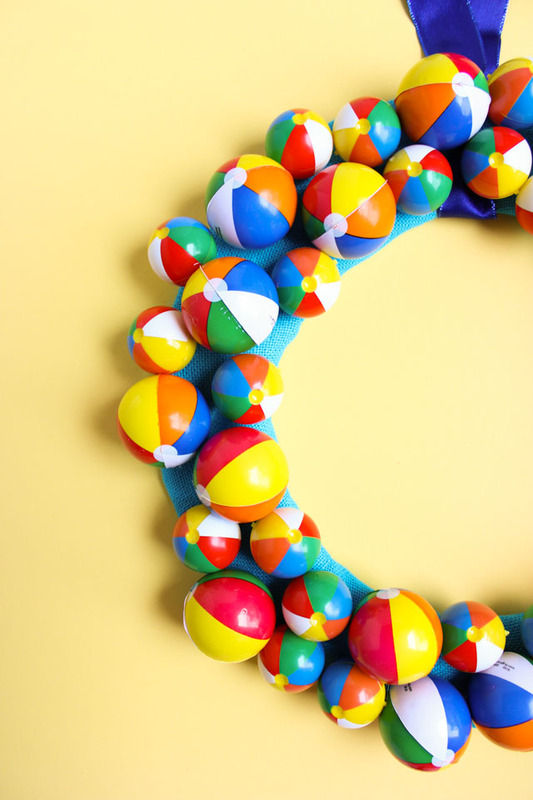 Now when I find a cute craft supply like these mini beach balls, my first thought is… “I wonder if I could use those on a wreath?” ha! 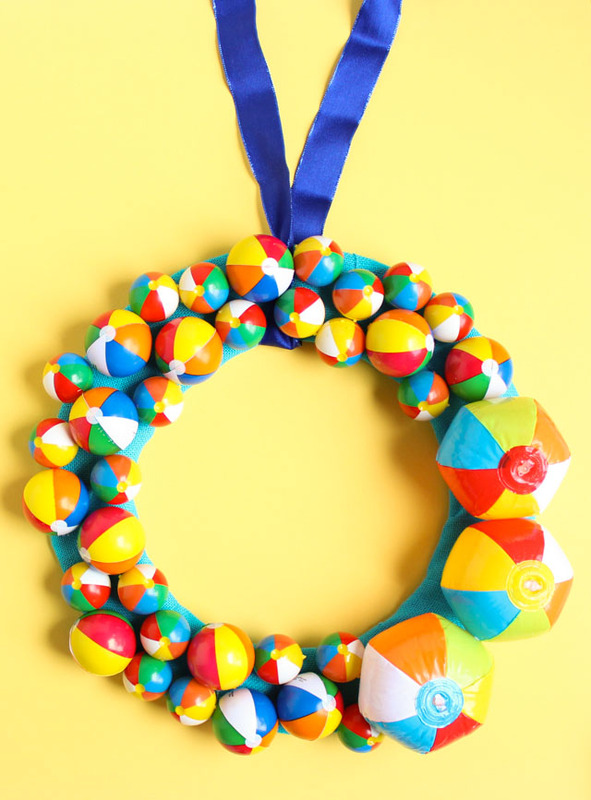 Well, it turns out that with the help of a little hot glue, you can indeed make a wreath from beach balls. My latest project with Oriental Trading is all about celebrating summer fun in the sun. 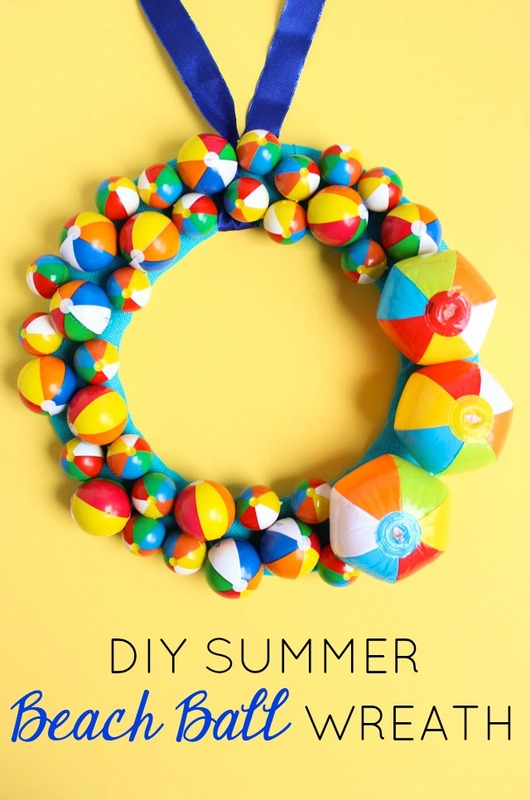 Read on to see how to make your own Summer Beach Ball Wreath. Only at Oriental Trading can you find mini inflatable beach balls, beach ball stress balls, and even beach ball Easter eggs. That is why I love them so much – the products they carry are truly one of a kind! I used a mix of all three for this wreath. To create a nice flat base for the wreath, I just covered a large wire wreath form with blue burlap ribbon. In addition to your front door, this wreath would be super cute hung pool side or used as decor for a pool party! Head to Oriental Trading’s blog for the full list of supplies and step-by-step beach ball wreath tutorial!